There is no need to spend money on a wedding planner if you love planning like I do. 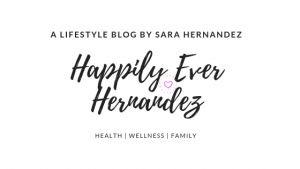 In honor of my third wedding anniversary coming up on November 20th, I decided to share some wedding planning tips you need to know if you decide to do it your self. 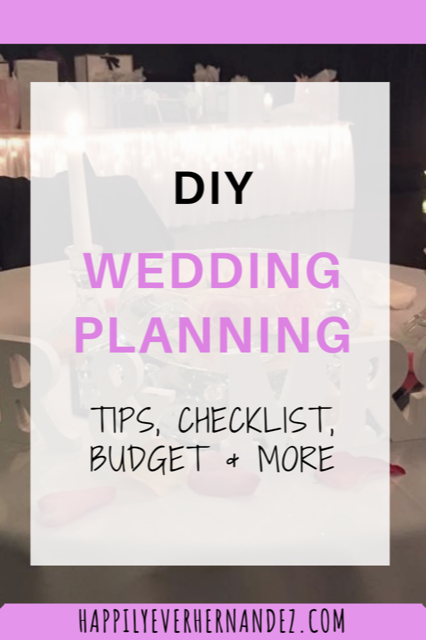 In this blog I discuss DIY projects, the best checklist to keep you on track with getting everything done, and my favorite website that will meet all of your wedding planning needs. From the guest list to the reception decor I’ve got you covered. By the time you finish reading you will be an expert on how to plan your wedding. My top recommendation for where to begin planning is to download The Knot app and check out their website. I loved being able to have my checklist on my phone with me wherever I went. 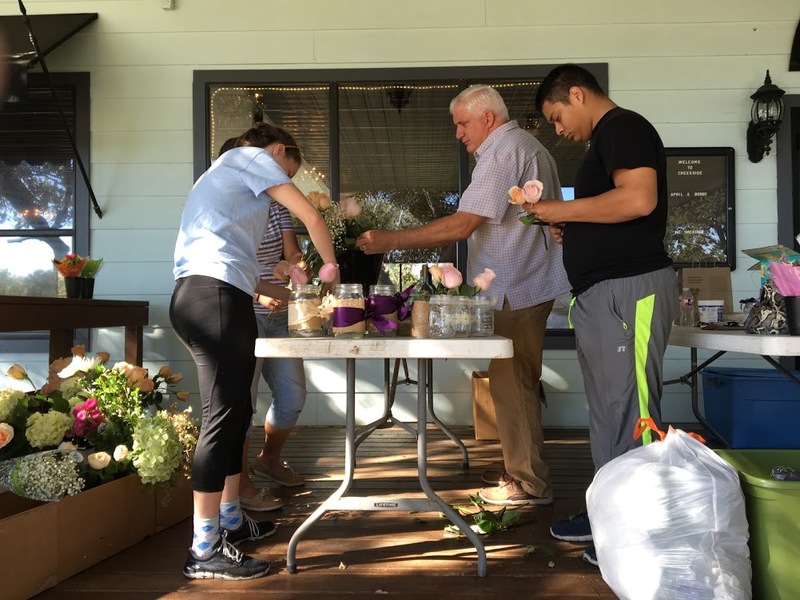 When I had extra time I could spend it working on whatever task on the wedding checklist was allotted for that time period before the big day. The best part is that the wedding planning checklist will be customized to your time frame when you enter your wedding date. So, you will have smaller chunks to focus on what to accomplish each day whether you are planning for a month or a year in advance. 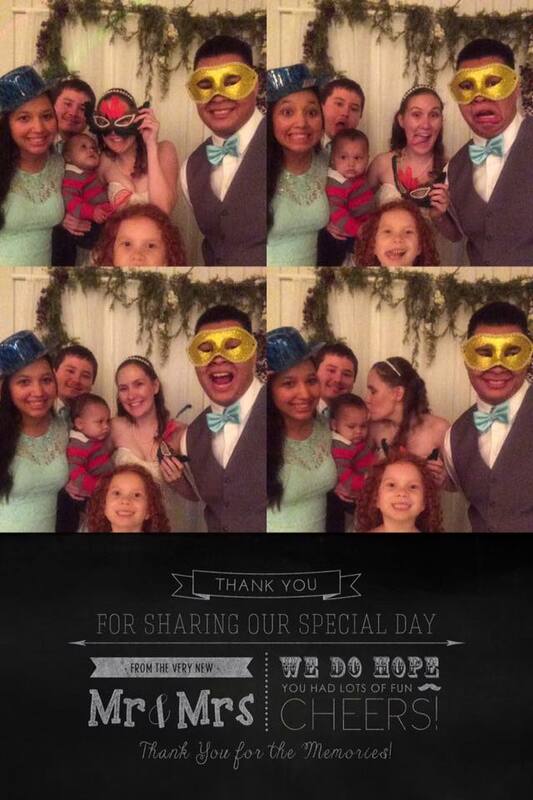 Here is a link to a blog where I go step by step teaching you how to create your own wedding photo booth. Another feature that The Knot provides which I love is a platform to create your own website. This is a great wedding planning tool, because you can link all of your information for the wedding guests. Things you may want to include are: where you are registered, photos from your engagement, and the wedding date and location. The website provides you with the modern convenience of allowing your guests to RSVP online. This wedding planning feature was so helpful when I was addressing and sending out invitations. It can be easy to forget if you have sent someone an invitation or if they responded saying they were coming. It’s important that you have a way to keep all of this information organized. When the time comes for you to give your vendors a final guest count you will not have any doubt. No matter what your timeline is, there is a general order which you would be wise to follow when organizing everything you may want to do to prepare for the wedding. There are certain arrangements that need to be prioritized when planning your wedding. Some things need to be booked in advance while other details can wait until the day of the wedding. I have helped friends and family plan their weddings, so I will share from my experience some tips and helpful suggestions. Make sure that the first thing you do is tell your closest friends and family the big news. They should be excited to congratulate you. You don’t want them to find out through social media or hear from someone else first. Once you spread the word, then feel free to let the world know you are in love forevermore. Let the wedding planning begin! I used Pinterest so much when wedding planning. It is a great resource to find inspiration and ideas when wedding planning from start to finish. I also used Pinterest a lot when helping others plan their weddings. 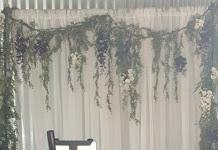 You can easily search for anything from ways to announce your engagement to decor at the final event. The best part is it is all organized in one spot online for you to refer back to when showing vendors what your aspirations are. *Pro Tip* When creating chalkboard signs, rub the chalk over the board first so if you make a mistake it won’t be as noticeable (like it is in the photo above). One of the first things you should do when wedding planning is decide on a date for the wedding. You shouldn’t go into debt in order to get married. So, depending on your vision for how extravagant or simple you envision the wedding to be, you may use that as a determining factor for how far into the future you choose to schedule it. Once you establish a budget for the wedding you are ready to move on to make your ideas and dreams come to life in the wedding planning process. Whether you choose to go the professional route or do it yourself, engagement photographs are a great way to commemorate this next huge life stage. We decided to save money and just used a camera on a tri-pod with a self timer to take our engagement pictures. My husband (then fiancé) edited the photos, and we chose the one we liked best to include in our save the dates (which I discuss later in this blog). You don’t have to spend a lot of money when wedding planning to capture these memories that you will cherish for a lifetime. When you begin to search for a wedding venue there will be a vast array of price ranges. 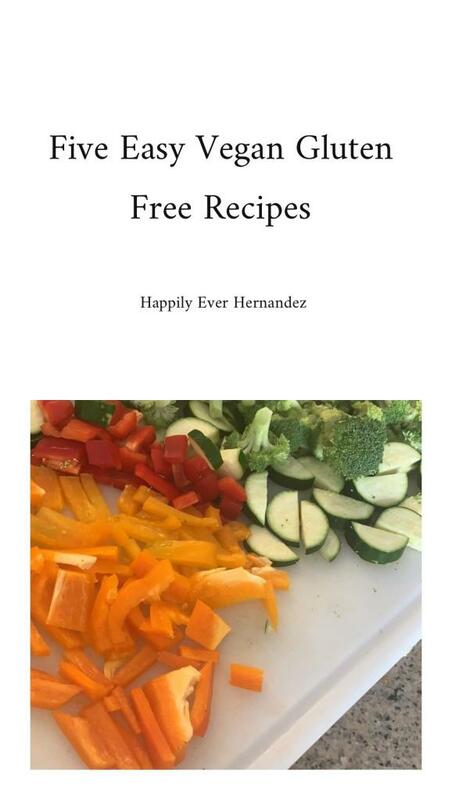 You may even find a venue that is free. Some things to consider when wedding planning are if the venue will be all inclusive, whether you would like the ceremony to be indoors or outdoors, and if you prefer for the ceremony and reception venue to be at the same location. 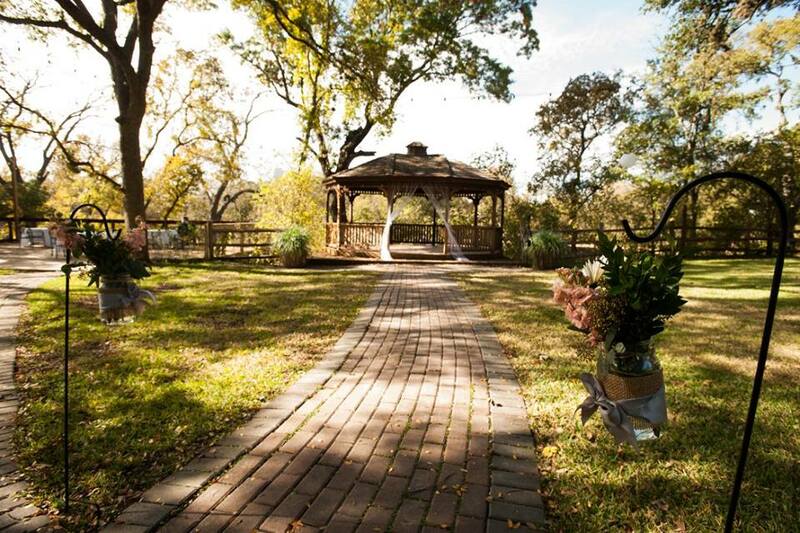 I knew that I wanted a Fall wedding with an outdoor ceremony and indoor reception. Luckily, the weather turned out to be perfect! A lot of people like to inform others when they have chosen a date for the wedding far in advance. This helps avoid having friends and family miss out due to planning a vacation or other avoidable circumstances. A great way to steer clear of this is by sending out “save the dates.” Here is another example of a save the date. 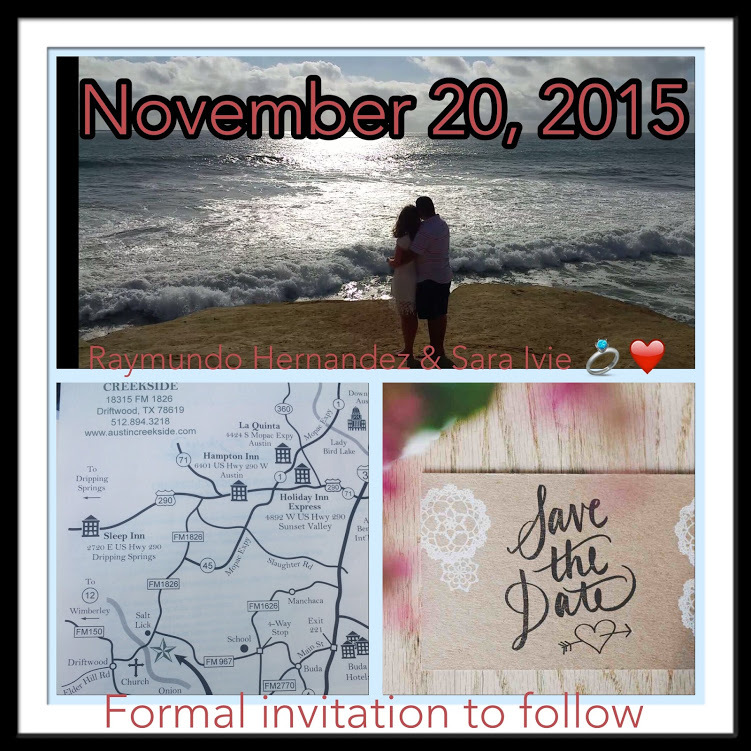 We chose to just create a cheap electronic save the date using an app like pic collage. I found the save the date picture on google. Then, I added a picture of a map for the venue. Next, I added one of our engagement photos. Finally, to complete the save the date I typed the information on the screen. We then sent them out electronically. You can create a save the date that is as fancy as you may like by designing, ordering, and having them done by professionals then mailing them out. You have dreamt of this day your whole life. Your wedding dress needs to be the perfect one. At this stage of wedding planning, you are eager and anxious to purchase what you will adorn yourself with on one of the most memorable days of your life. It may be the first one you try on or you may take multiple trips to ensure you are satisfied. I got my dress from Davids Bridal. We went there with my budget wedding planning, because a friend told me about the $100 rack. I was determined to not spend a fortune on a dress I would wear one day. Although, I did not end up getting a $100 dress to say the least. 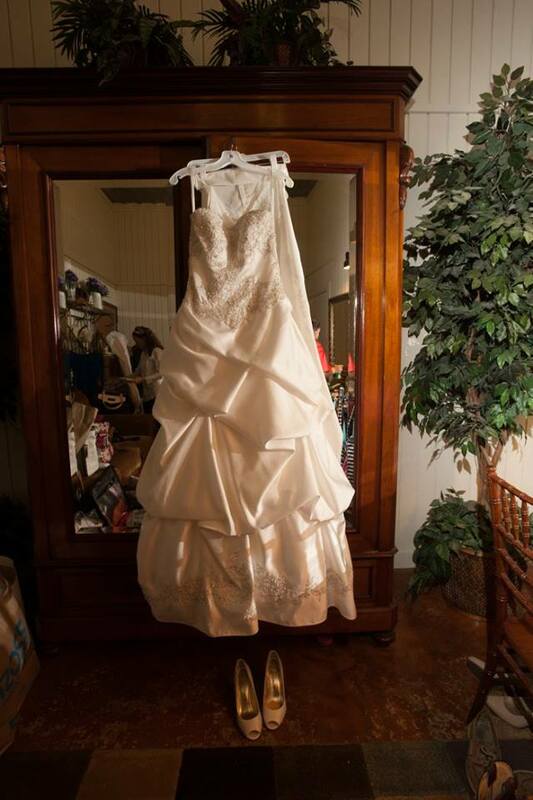 It is important that you give enough time before the wedding to schedule fittings and have the dress altered. Make sure you buy your wedding shoes and undergarments before your alteration appointment. Another tip I wish I had known is that you should pay for your dress to be preserved when you buy your dress. If that is something you are interested in you can save money by purchasing the preservation beforehand, rather than waiting until after the wedding. I paid more since I waited until after the wedding to purchase the preservation. A popular way to ask people to be in your wedding party these days is by popping the question. For example, you can get each person a special gift and ask them to be your bridesmaids and maid/matron of honor. Your fiancé can do the same for his groomsmen. Once the wedding party is confirmed you will need to decide on their attire leaving adequate time for them to get it altered if necessary. My bridal party got their dresses from Filly Flair. They were super affordable, but if you have a large bridal party their selection is limited. The men got their suits from Men’s Warehouse. 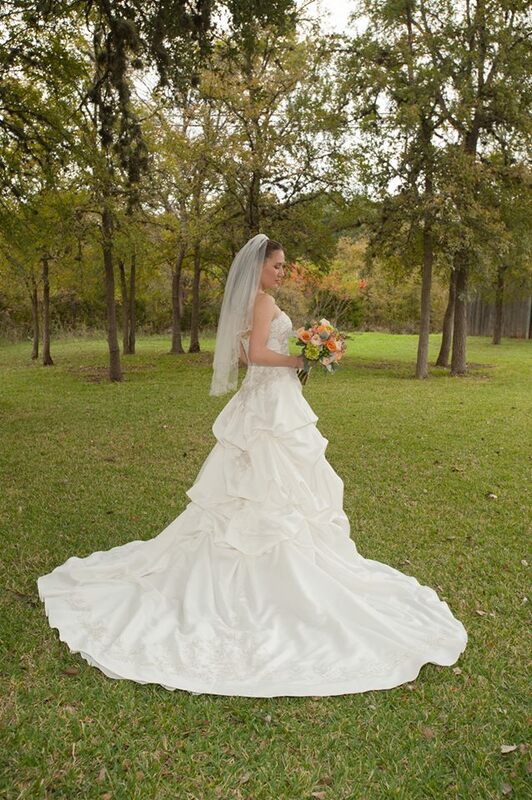 I got my veil from David’s Bridal and my pearl necklace from Zales. 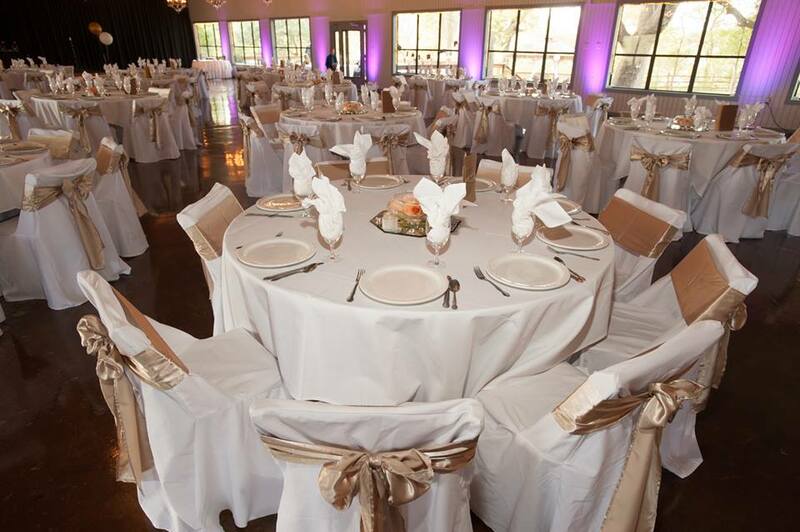 Once you have an idea of how you would like to arrange the tables and chairs for the ceremony/reception you can choose centerpieces, table settings, chair and table coverings, and more! I found some very helpful charts and diagrams on Pinterest when planning out how to arrange everything. 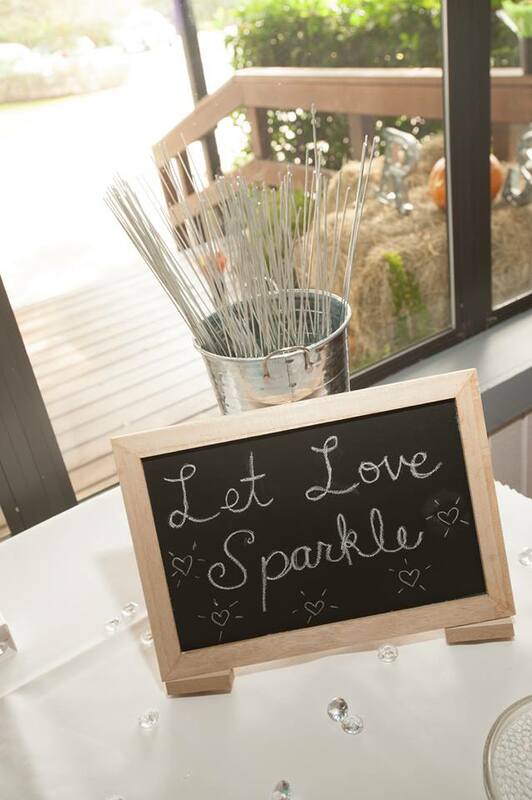 Think of other ways you would like to decorate the venue with floral arrangements, balloons, or chalkboard signs. Keep a list and slowly look for decorations when you are out and about. You may find bargains and deals on what you’re looking for. When you are wedding planning you will have to find the vendors that work best for you. The earlier you start searching the better. You want to ensure the vendors are available on your wedding day. If possible it can help your budget if you find friends that are willing to help contribute their skills. 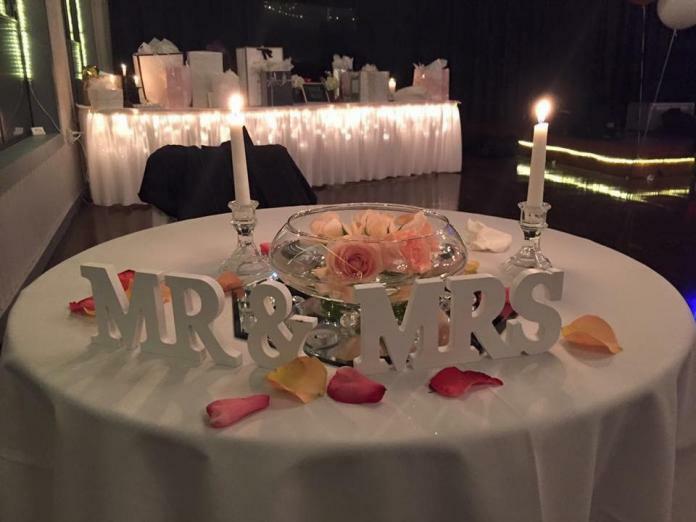 Some services or products you may be interested in renting or investing in include lighting, DJ, linens, chair and table rental, catering, cake baking, photography, florists, and officiating. Here is a helpful guide on which vendors to tip and how much you should give. You should designate other points of contact who are knowledgable of your wishes that can assist in communicating with the vendors on the day of the wedding. 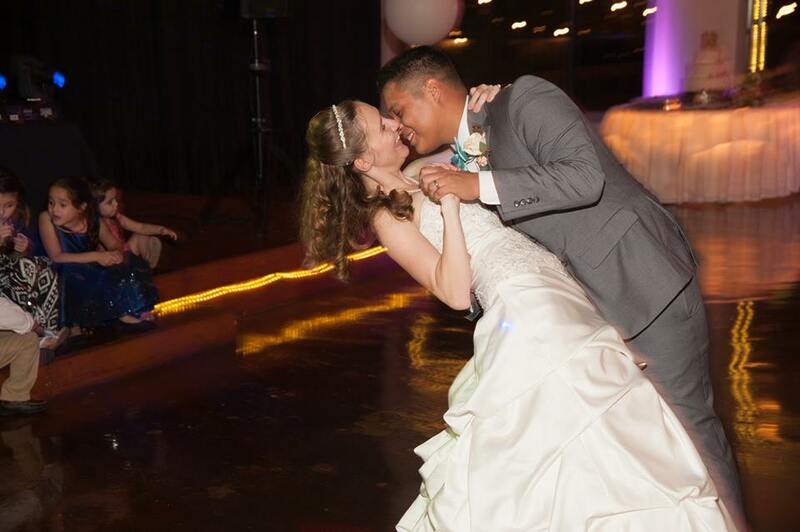 Our venue included all of the ceremony and reception setup and takedown and catering. As I mentioned above, it is such a blessing if you know reliable people who are able to help. 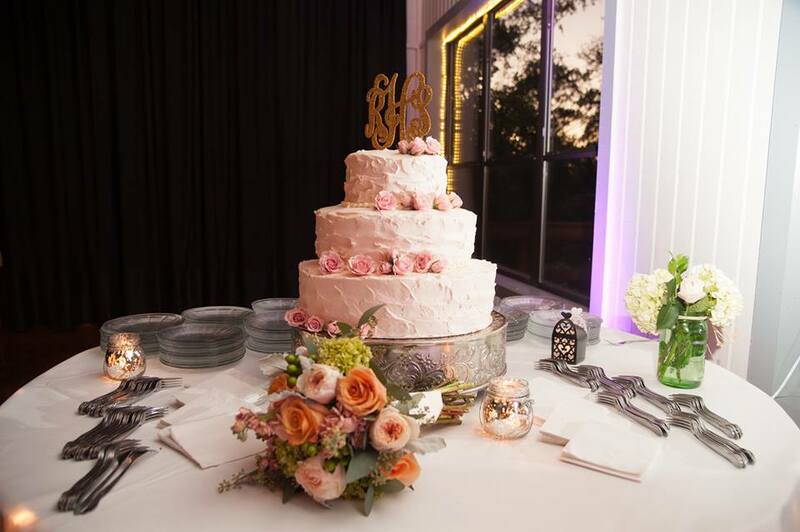 My dad officiated our wedding, we had a family friend who is a DJ, another who does amazing photography, and even had a loving family friend create our delicious cake! 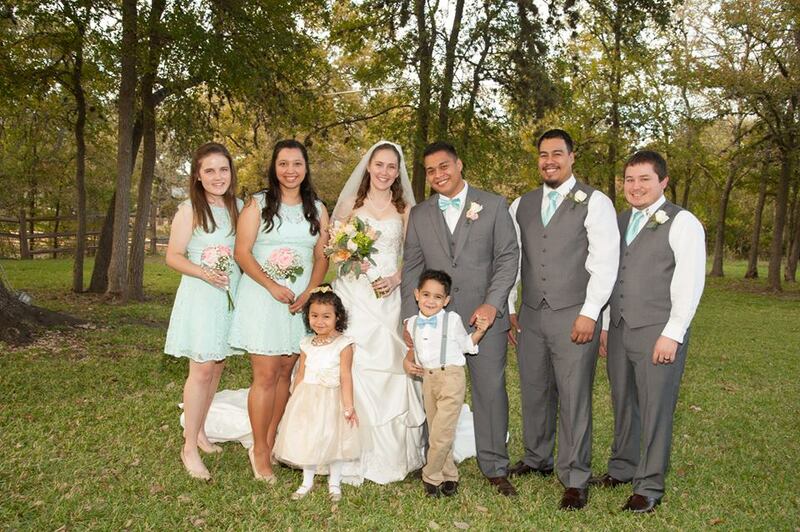 Having these people involved made our big day that much more special, and I didn’t have to stress or worry. Here is where I got my gold glitter monogram cake topper. If you want to save some money, you can institute a friend to be the DJ. All you need is a playlist and an electronic device that can play music (phone, iPod, computer) hooked up to a speaker. I would have done this had my dad not recommended the DJ. I’m glad that we went with a DJ, because he made sure everything ran smoothly. He played all of the transition songs we wanted throughout the night as well as made announcements for us. If you have a smart phone you can include wedding planning lists in the notes section of your phone. If you would rather have a physical handwritten copy you can pick out a cute journal. That way everywhere you go, whether it’s shopping or to meet with vendors, if you think of something you want to remember you can jot it down. This will ensure that you have all of the information you need at your fingertips. Also, it’s useful to include photos of your wedding inspiration to share with vendors so they know what you’re looking for. 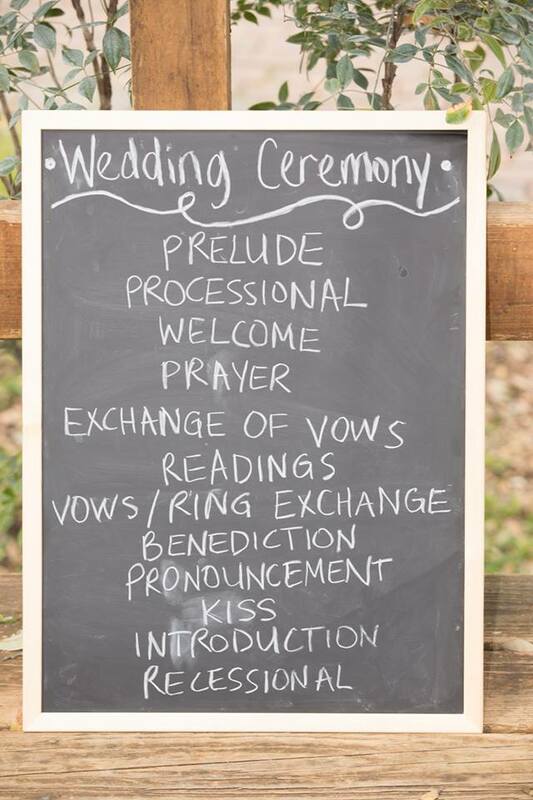 Some lists I created were- my floral arrangement vision, the ceremony order of events and wedding timeline, wedding preparation to-do, decoration ideas, ceremony bible scripture readings, wedding party gift ideas, honeymoon packing, and wedding songs. Making wedding planning lists really helped keep all my ideas organized and focused. It is so important to spend this special time with your new spouse. Just enjoy each other’s company and relax even if it’s just for a day or two as a “staycation.” Plan to take off a few days of work, and book flights and a hotel or air bnb if you need to. If you look a few months in advance you may be able to find great deals on the pricing. 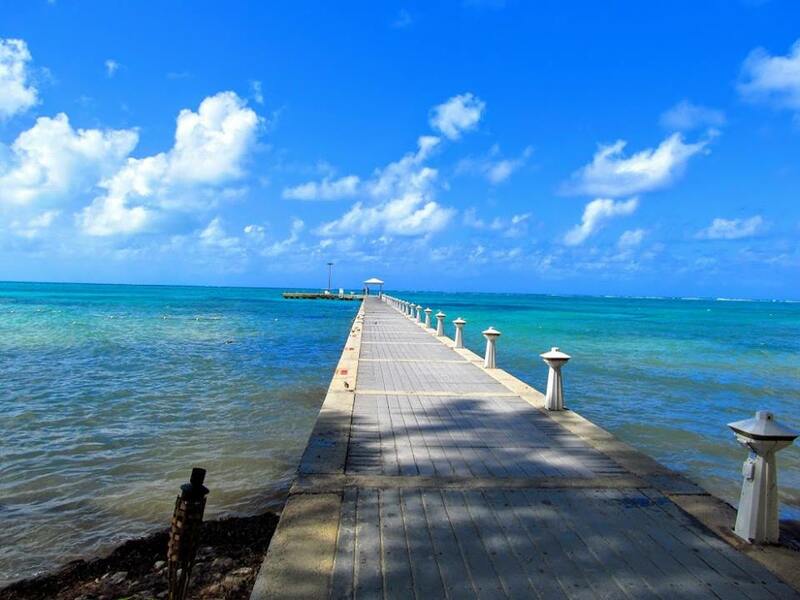 We had so much fun looking at different destinations trying to find a place that was all-inclusive in the Caribbean, but not too long of a flight. Sometimes you can almost have just as much enjoyment planning the itinerary and trip as you will have when you arrive. Look online for how you want your hair styled (updo or blowout) and what kind of makeup look you’re going for (if any). I chose to go with a natural makeup look, and relaxed waves with a partial updo for my hairstyle. You can schedule a trial appointment to guarantee that you adore the way you look. My friend did my hair and makeup, but I still got to do a trial. See to it that you secure an appointment at the nail salon if you choose to get a manicure and pedicure. I wouldn’t suggest trying out a new salon for the first time before such a big event. Lastly, think of any signature pieces you may want to add to your wedding day look such as a headpiece or subtle piece of jewelry. I wore a simple pearl necklace and pearl jeweled headband to top off my look. This will be your “last fling before the ring,” so you have to plan a get together with all of your closest friends. We didn’t do anything big, but it’s nice to spend this special time doing what you enjoy with your ladies/gents before you tie the knot. If you plan to travel you will want to arrange a date together. This will make certain that you will find accommodations that are affordable. You want to design and order your wedding invites with enough time for you to receive, address, and send them out a month in advance. Your guests may need a reminder to RSVP as the date nears. 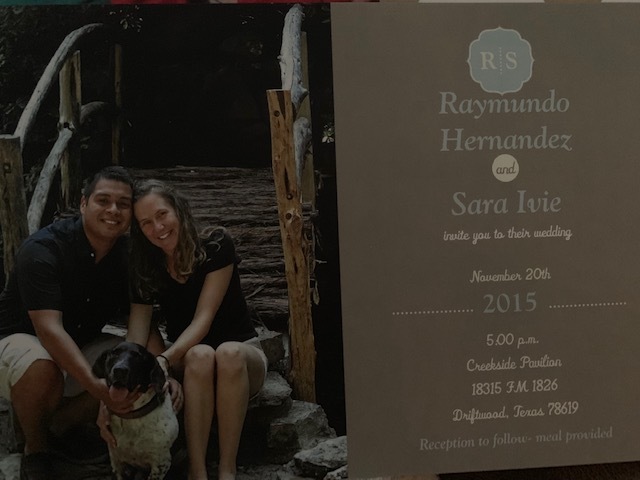 We created our invitations for cheap and ordered them from Vistaprint. 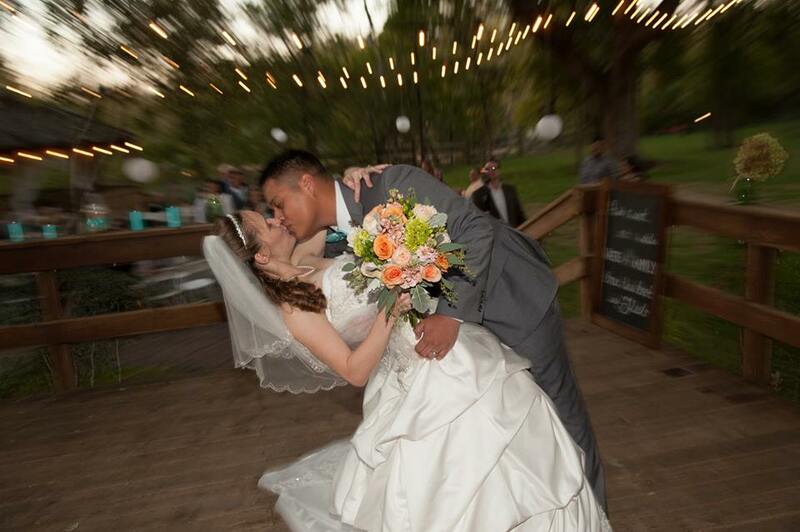 We took our photos at Zilker Botanical Garden with a camera on a tripod and self timer. I also ordered address sticker labels and envelope seals. I highly recommend that you purchase these to save time if you are sending out 100+ wedding invitations. When I said pick a wedding band, I was referring to the ring which you will exchange with your husband during the wedding ceremony. 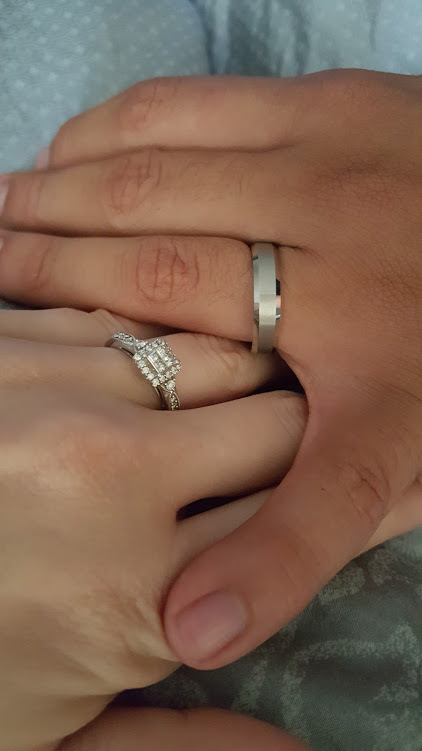 My husband (then fiancé) got my wedding rings as a set from Zales. After the engagement, we went back to pick out his wedding band. The options are endless whether you choose to create your own original rings or buy one from your local jeweler. I loved getting to look for a ring with my future husband that symbolized our love in style. When you are wedding planning, creating a wedding registry can be a nice break and opportunity to bond and dream about the near future of your home together as newlyweds. We registered at Target and Bed Bath and Beyond. One of the workers recommended that we register for expensive and reasonably priced items, because sometimes people will pitch in to get you a nice set of china or a higher priced item on your list. I’m so glad we did. 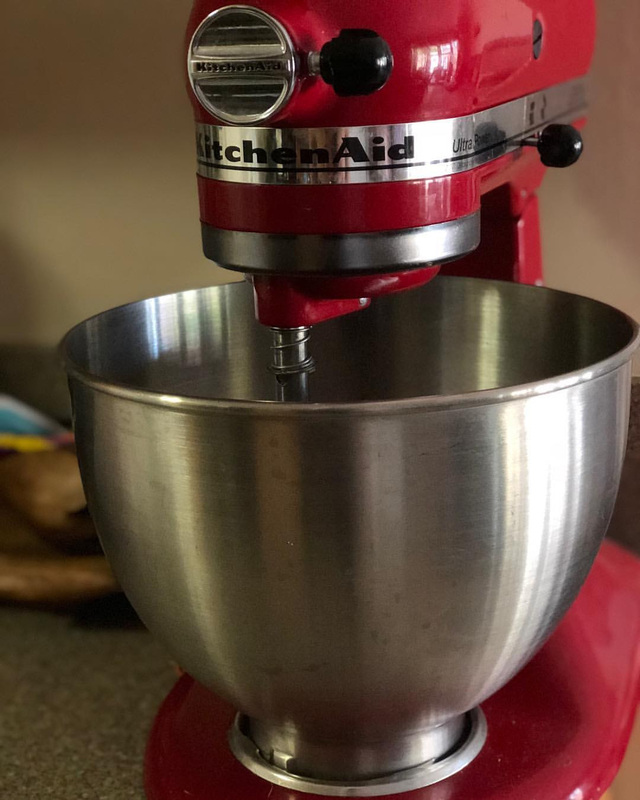 We still use daily many of the fancy kitchen appliances that we were gifted so graciously at our wedding. You can register online or in the store. I really liked getting to scan and look at the items in the store. 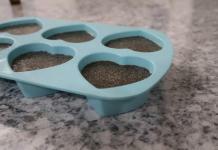 If you are the crafting type like me, then DIY projects are a must when wedding planning. It can be so rewarding to put together handmade items and display them for such a special occasion. 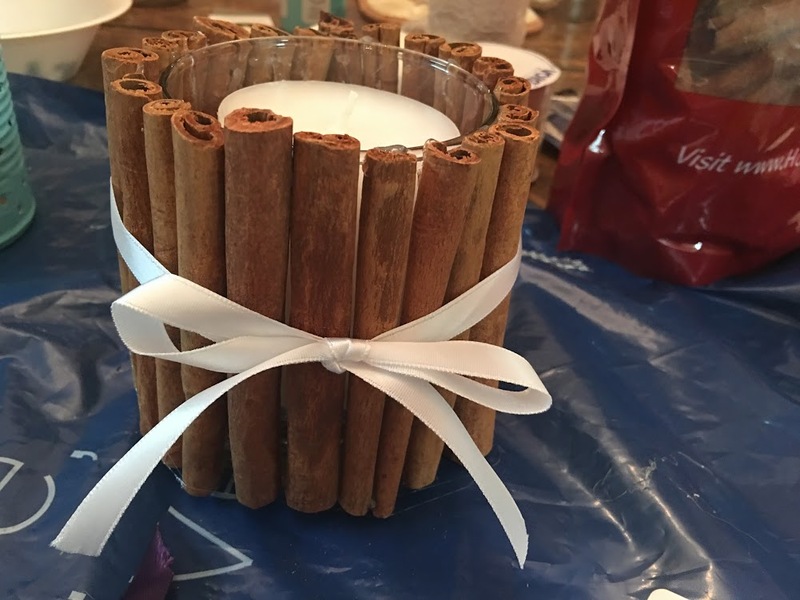 We created the candle decor above using just a few simple items (glue gun, white satin ribbon, cinnamon sticks, dollar tree candle holder, and white candle). My bridal party and I also did a few mason jar crafts involving glitter and paint. I used the mason jars to display floral arrangements at the venue. 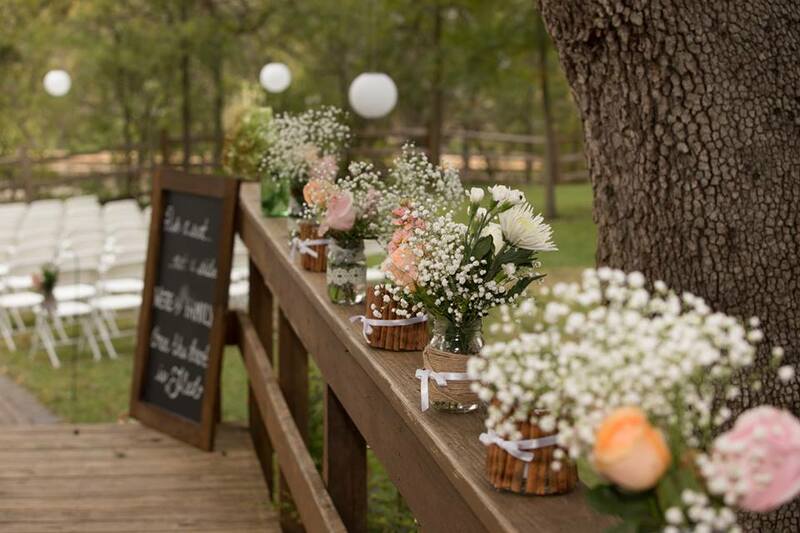 You can find ideas for homemade decorations that fit your wedding theme on Pinterest or Google. It is not necessary to buy your wedding party anything. Although, it’s a nice gesture to show your appreciation for the time and money they spent to assist with your wedding day. You can buy them something handmade, individualized to commemorate your friendship, or similar for everyone. I had two friends who helped with our hair and makeup, one matron of honor, my sister was a bridesmaid, and my mom helped with a lot of the wedding planning. 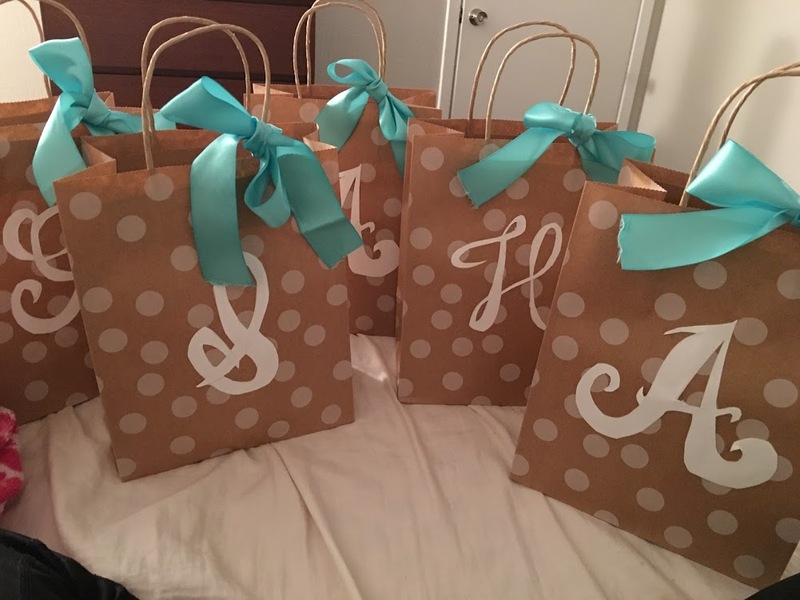 I chose to create these hand lettered bags for them with a cute bow tied around the handles. The bags were filled with bath and body works products, candles, and a few other treats. I think they were surprised and enjoyed the gift. 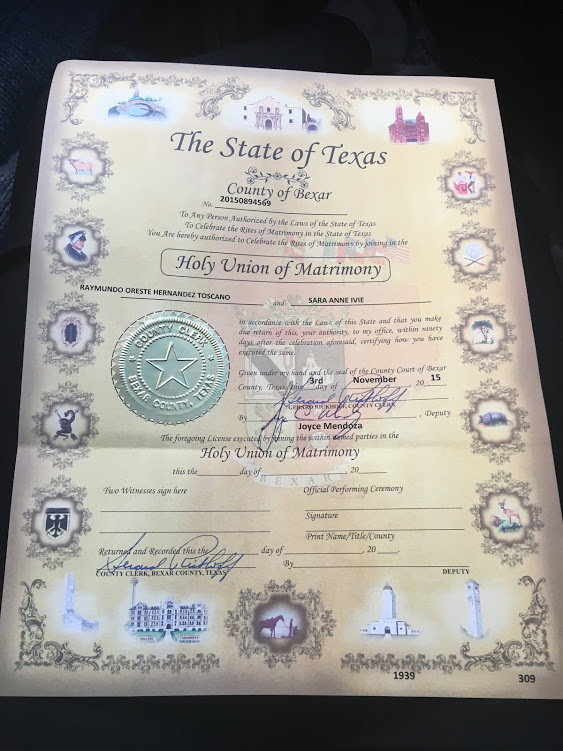 You may want to check the rules for the state and county that you live in, but we lived in San Antonio, Texas when we got married. We went to the county clerk’s office to pick up our marriage license together at least a month before the wedding. You should only need two forms of identification. You may want to bring cash to pay since some places will only accept this form of payment. Here is a helpful link that explains some more specific details that can be helpful when figuring out how to get a marriage license. I think it was a fairly simple process. There are so many creative ways to commemorate the special guests at your wedding. Here are some sweet ideas. Our faith is a huge part of our union. 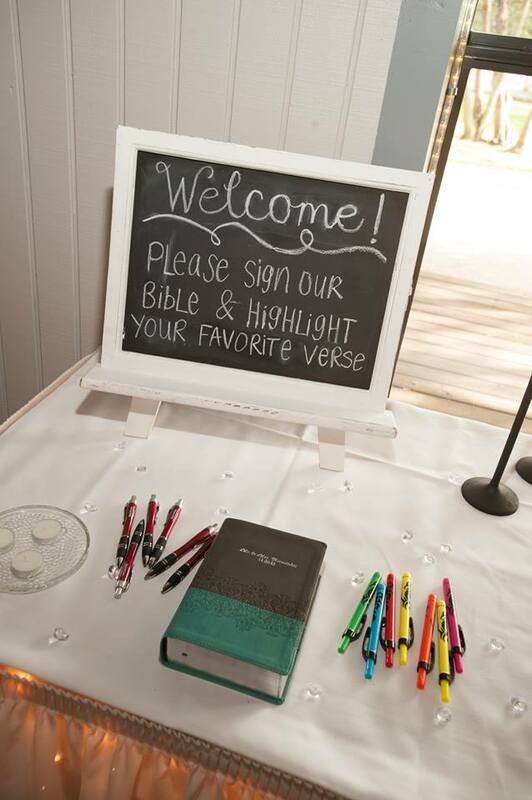 So, we loved the idea of having a bible that we could share and remember the people who gathered with us. I look forward to seeing everyone who attended the weddings’ favorite verses for years to come as we dig into the scripture. There are not many decisions more life altering than the vows you will share at your wedding. Except, the way you live out the promises you make in the years to come that is. You can choose to stick with the traditional route or write your own vows. I looked online and found a version that I liked. Then, I sent the vows to my dad who officiated the ceremony. He put his own special twist on it. 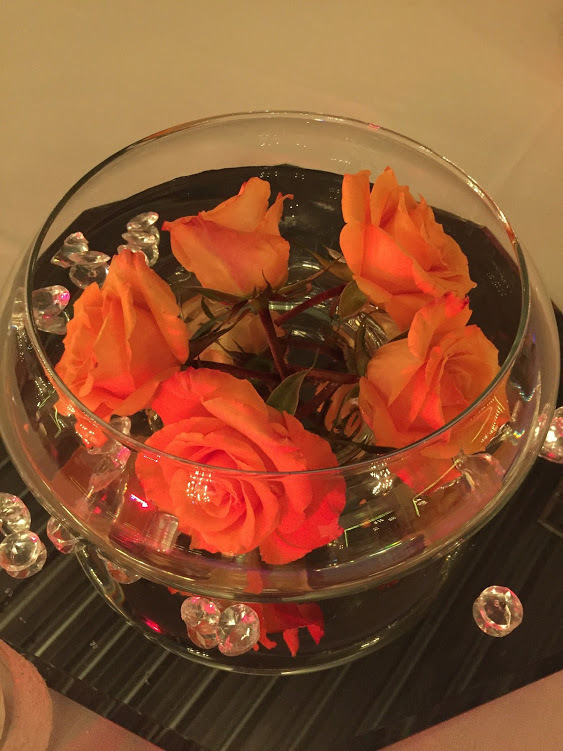 You can save loads of money by making your own floral arrangements for the wedding. It is not necessary to have previous experience doing this. You just need the time to dedicate and a few friends and family members are helpful. I highly recommend it. 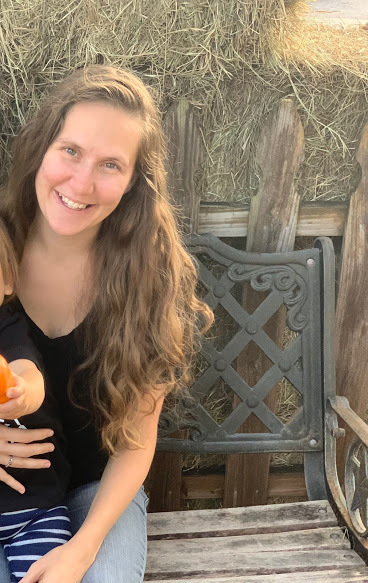 Here is a post where I share in detail how we did it and all of my tips. Excitement is running rampant as the day you have been long awaiting draws near. You can hardly contain yourself. It is such a rewarding feeling to see all of your hard work and planning come to fruition. I remember how nervous and ecstatic I was leading up to the moment we said I do. If you can come to the venue the day before the wedding to drop off decorations and start setting up take advantage of that opportunity. I spent almost all day setting up and working on floral arrangements. Enlist all the help you can get. Start putting all your wedding planning into action. 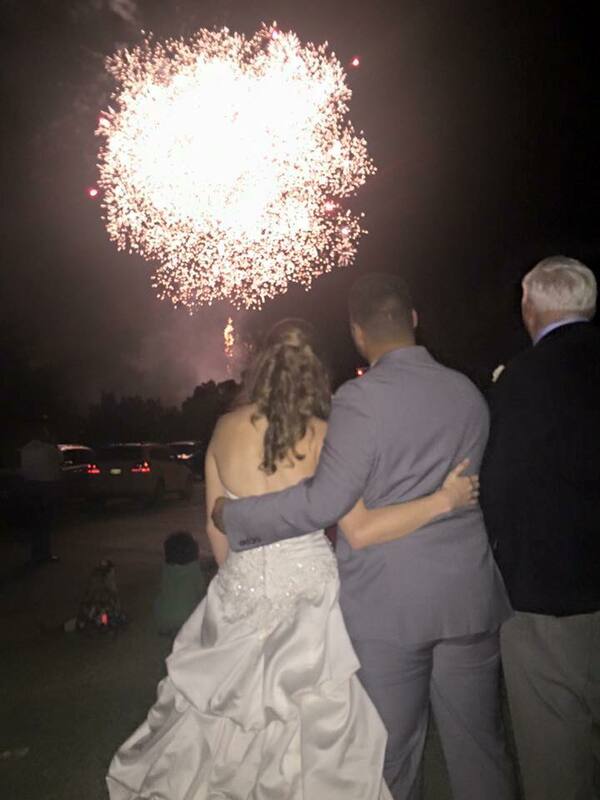 The night before the wedding, visit the venue if possible to run through the order of events with the wedding party. 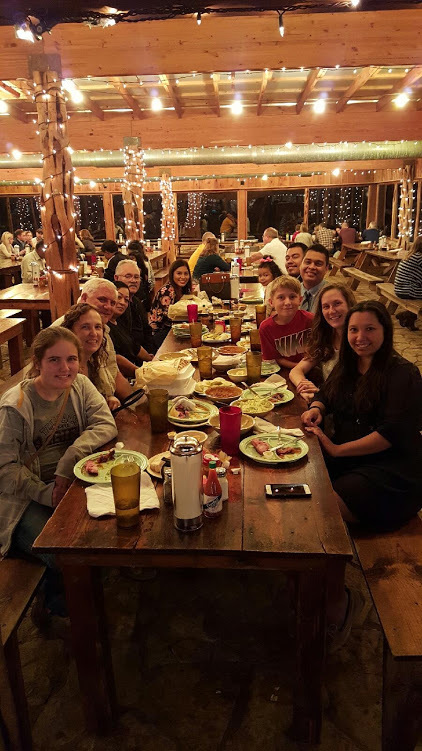 Book a room or table a few weeks ahead of time wherever you want to have the rehearsal dinner. 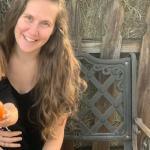 I was so anxious the night of the rehearsal dinner. I couldn’t hardly even eat much. Now that all the wedding planning is done and the big day has passed make sure you send out thank you cards to the guests who gave you wedding gifts. It is nice to review the vendors. This will let others know if they did a good job. Here is a link that shows you some helpful tips for if you choose to change your last name after getting married. Let me know in the comments below if there is something specific you would like more details on related to how I planned my wedding. I would love to assist you in planning yours in any way. Subscribe if you would like to be notified when I post in the future. Share with anyone you know who may enjoy or find this helpful when wedding planning. Best wishes as you continue on this wonderful journey. 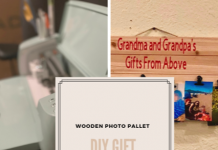 Valentines Day Gift Ideas |Activities, Crafts & More!